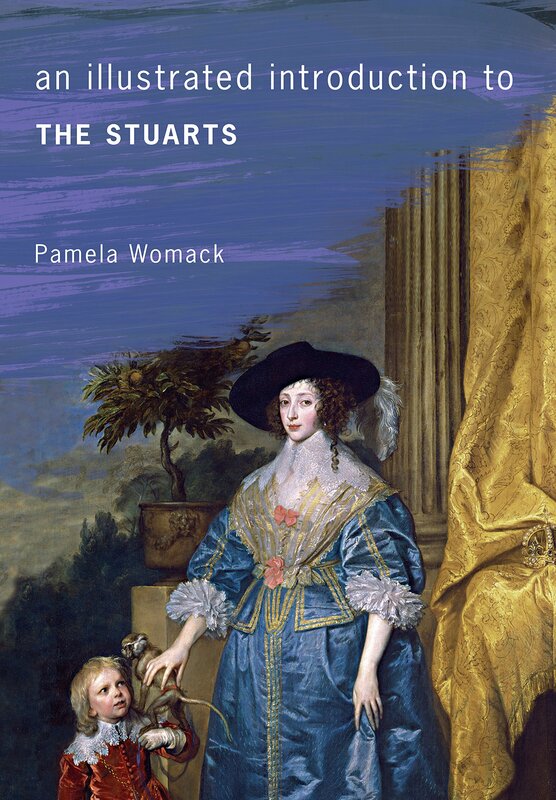 I am very pleased to have Pamela J. Womack’s company today on The Seventeenth Century Lady. I was privileged to read an Advanced Review Copy of her exquisitely crafted novel about the Duke of Buckingham – The Darling of Kings, and her love of the 17th-century shines through all of her work. I have been fascinated by the story of Frances Coke, Viscountess Purbeck, since I first began my love-affair with the early Stuart period many years ago, and she appears in my novel ‘Darling of Kings’. I’ve enjoyed conducting further research during the writing of the biography of George Villiers, First Duke of Buckingham, and although the tale is too long and complex to relate in full in a short post, the following is an abbreviated account. On Michaelmas Day, 29 September 1617, King James I, his wife Anna and the heir apparent, Prince Charles, were guests at an important society wedding at the chapel at Hampton Court. The king, his face wreathed with smiles, gave the hand of the bride to her pale but jubilant bridegroom, and as the Bishop of Winchester led the couple through the marriage service, the young girl obediently made her vows, her lovely face glistening with tears. Many brides shed tears on their wedding day, but Frances Coke did not weep for joy, but from sorrow at marrying a man she did not want. The circumstances surrounding this marriage had scandalised and entertained the Jacobean court, but this was only the beginning, for Frances would continue to shock and outrage society for the rest of her life. As a member of the nobility, Frances would have expected her marriage to be arranged. Most parents negotiated advantageous matches which would increase their family’s estates, wealth and prestige. However, many parents also took their children’s wishes into consideration, and genuinely desired their happiness. Although the age of consent was twelve years for a girl and fourteen for a boy, it was recognised that early pregnancy and childbirth was undesirable and dangerous, and it was also believed that a sexual relationship would hinder a young man’s growth and proficiency in learning. Therefore, very young people would live apart for a few years after their marriage until it was judged that they were mature enough for the marriage to be consummated, and by the reign of James I marriage between children was becoming less common. At fifteen Frances was old enough to marry, but would still have been considered young. However, neither her youth nor her abhorrence of the match swayed her father, Sir Edward Coke, a tall and forbidding figure, with a lean, austere face. Coke’s knowledge and experience of the law was prodigious, causing King James to comment that he appeared to ‘… eat, drink and evacuate nothing but law’, but his repeated clashes with the king had led to his dismissal from the post of Lord Chief Justice the previous year. Desperate for a return to royal favour, Coke began negotiations with the prominent Villiers family for a marriage alliance with Sir John Villiers, the elder brother of the increasingly powerful royal favourite, George Villiers, then Earl of Buckingham. It is interesting that the match was not with Coke’s eldest daughter Elizabeth, who did not marry until 1622, but with his second daughter, Frances. Most likely the prospective bridegroom expressed a preference for Frances, for he professed himself to be in love with her, and his mother, the redoubtable Lady Mary Compton, already adept at arranging advantageous marriages for herself and her large family, was delighted to assume the arrangements. However, despite the fact that the match seemed advantageous to both parties, there were immediate difficulties. Coke balked at the dowry demand of £10,000 with a thousand a year addition while he lived, and the wrangles over money continued for several months, until he finally agreed to pay £10,000 outright. Coke was now anxious for the marriage to proceed with alacrity, but neither his wife, Lady Elizabeth Hatton, nor Frances desired it. Lady Hatton was the daughter of Thomas Cecil, 1st Earl of Exeter and Dorothy Neville, and the granddaughter of William Cecil, 1st Baron Burghley. 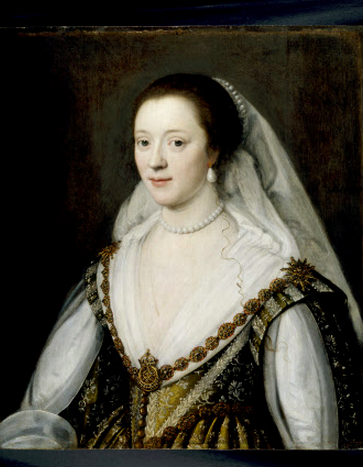 She had married Sir William Hatton, the nephew and heir of Elizabeth I’s favourite, Sir Christopher Hatton, and after the death of her first husband, the wealthy and still beautiful widow became the second wife of the much older Sir Edward Coke, bearing him two daughters. A forceful and fiercely independent woman, Elizabeth refused to take her new husband’s name, and for many years they lived apart, engaging in prolonged and bitter battles regarding the ownership of property. It is unlikely that Lady Hatton would have supported Sir Edward’s plans for their daughter, and doubtless she did not wish to join her family to that of Buckingham’s, whom she considered a parvenu. In view of what transpired, it is possible that Lady Hatton persuaded Frances to view the proposed match with repugnance, and it does seem that Frances inherited both parents’ fiery temperament and determination. Much has been made of John Villiers’ deficiencies; certainly he did not share his brother’s astonishing good looks, but he was not unattractive, and at the age of twenty-six, was scarcely an old man. Moreover, John appeared to be respected at court, despite the envy and dislike of the influence and power of his family. More damaging to his reputation were his periodic bouts of mental instability and melancholy, but the likelihood is that even had Frances viewed John favourably, Lady Hatton would have still used this as a way of thwarting the husband she detested. Despite his wife’s refusal to countenance the marriage, Coke proceeded with the negotiations. Angry and alarmed that her husband was determined that the match would go ahead without her consent, Lady Hatton secretly removed Frances from their home at Hatton House in Holborn late one night, and conveyed her to a house at Oatlands, near Hampton Court, belonging to the Earl of Argyll, which was rented by her cousin, Sir Edmund Withipole and his wife. Bacon now made another attack upon his enemy by summoning Coke before the Star Chamber on a charge of breaking into a private house with violence. On receiving this summons, Coke wrote to Buckingham, who was with the king on a visit to Scotland, complaining that his wife, the Withipoles, and their confederates, had conveyed his ‘dearest daughter’ from his house, ‘in most secret manner… ’ Buckingham, at about the same time, received a letter from Bacon, who had totally misread the situation, advising against the match. Bacon compounded his error by writing to the king, who supported the marriage, again condemning the match, and foolishly expressing a fear lest Buckingham’s ‘height of fortune might make him too secure’; a letter which earned him an angry rebuff from James. Lady Hatton now tried another tactic, claiming that there was already a pre-contract between her daughter and Henry de Vere, 18th Earl of Oxford, who was at that time in Venice, even producing a fraudulent letter from the young nobleman, proposing marriage. Oxford was also offered £4,000 a year by Lady Hatton, as well as two furnished houses. It was to no avail. The documents were seen to be forgeries, and Frances was restored to her father, while Lady Compton was given permission to visit and ‘to win her and wear her.’ Meanwhile, the indomitable Lady Hatton was confined to the house of a London alderman. PORTRAIT OF FRANCES COKE, VISCOUNTESS PURBECK (1601-1645) by Michiel Janszoon van Miereveldt.Second daughter of Sir Edward Coke, Lord Chief Justice.In 1617 she married John Viliers. Credit line : Ashdown House, The Craven Collection (acquired by H.M. Treasury and transferred to The National Trust in 1968) , ©NTPL/John Hammond. Rumours later circulated that the young girl had been tied to the bed-post and severely whipped into submission. Lady Hatton did not attend the wedding, as she was still under house arrest, but she finally capitulated, and attempted to redeem a little from the sorry and humiliating saga. She was later received at Court, and grudgingly made her peace with her daughter’s new family. After the wedding night, Frances’s ordeal was still not over, for King James had a fondness for visiting bridal pairs, and enjoyed sitting on the bed with them, sometimes still clad in his night attire, discussing the night’s activities. John and Frances ‘lay next day a bed till past 12 a clock, for the king sent word he would come to see them, therefore would they not rise.’ Unfortunately, there was no happy ending, for although her husband, created Viscount Purbeck in 1619, adored her and was kind and gentle, Frances could not return his love, and found his mental illness and depression difficult to cope with. She embarked upon a passionate affair with Sir Robert Howard, the fifth son of Thomas Howard, first Earl of Suffolk, and eloped in 1622, hiding in Cripplegate, London, assuming the name of Wright. Howard’s family were no strangers to scandal, for his sister Frances, the wife of the Earl of Somerset, had been found guilty of poisoning Sir Thomas Overbury the previous year, and she and her husband were currently imprisoned in the Tower. Frances’s scandalous behaviour earned her the enmity of the Villiers family, but her husband refused to divorce her, seeking her out and endangering his own health by caring for her devotedly when she was seriously ill with small-pox in 1624, and begging her to return home with him. Despite his forgiveness, Frances continued her affair, bearing Howard a son, whom she untactfully named Robert. Amid rumours of witchcraft, the lovers were ordered to appear before the Court of High Commission on charges of adultery. Frances was found guilty and condemned to do public penance by standing barefoot in a white sheet in church, in addition to suffering imprisonment. However, she was determined to do neither, but was involved in another dramatic escape, assisted by the attendants of Cesare Alessandro Scaglia, the Savoy ambassador, one of whom dressed as a woman, and set off in Frances’s coach as a decoy, while she slipped away and was taken by Howard to his house at Clun in Shropshire. 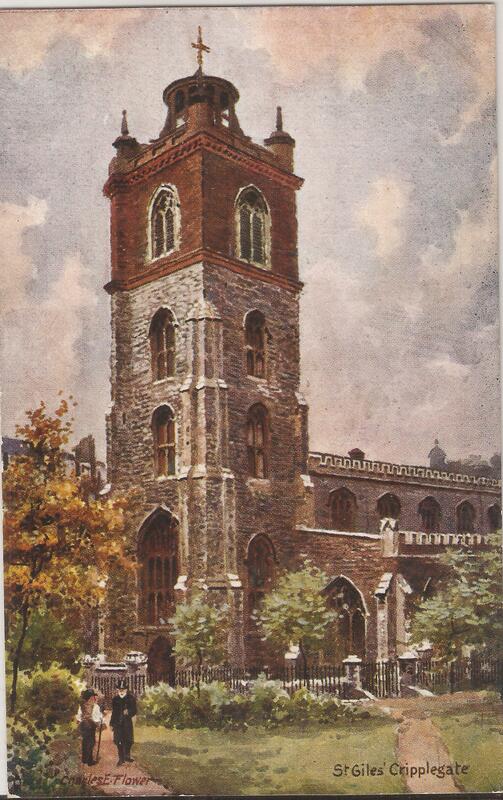 Illustration: St Giles Church Cripplegate, London, close to where Frances hid and where her illegitimate son was born. Author’s collection. 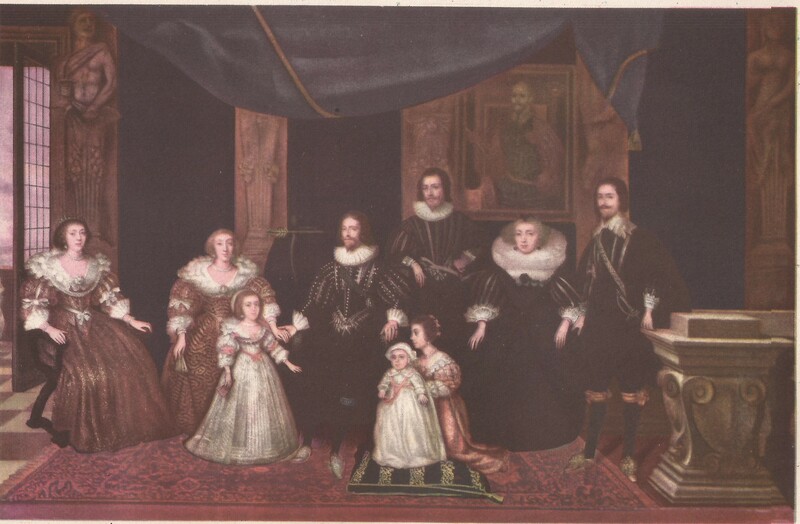 In 1632 Frances was reconciled with her father, and lived at his home at Stoke Poges in Buckinghamshire, caring for him until his death in 1634, when she moved to Westminster, and openly continued her relationship with Howard. Once more the defiant couple were imprisoned; Frances at the Gatehouse and Howard at the Fleet. But astonishingly, Frances once again disappeared, this time dressed as a man, fleeing to Jersey and thence to France where she lived in exile in Paris for several years with her son. While there Frances converted to Roman Catholicism and lodged for a time in a convent, while King Charles I made frequent attempts to have her returned to England and prosecuted. Eventually Frances returned home, where she died at Oxford in May 1645 and was buried in the University Church of St Mary the Virgin. Sir Robert Howard’s devotion to Frances was such that he never married until after her death. 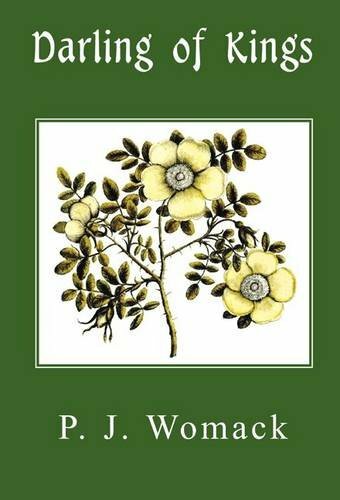 A trained teacher, Pamela J. Womack has been fascinated by the early seventeenth century since childhood. 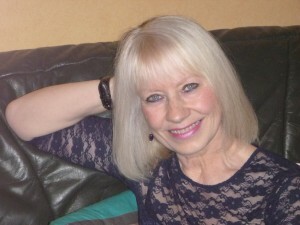 She has spent many years researching the life and times of George Villiers, First Duke of Buckingham, and has written several articles about him. Pamela’s first novel, ‘Darling of Kings’ tells the story of George Villiers, First Duke of Buckingham’s friendship with Charles I. Published by Hayloft Publishing Ltd. 2014. ‘An Illustrated Introduction to the Stuarts.’ Published by Amberley Publishing Ltd. 2014. She is currently writing the biography of George Villiers, entitled ‘Buckingham: The Power Behind the Throne’, which will be published by Amberley Publishing Ltd. in 2016. A further book entitled ‘Buckingham’s Women’ will be published by The History Press in 2017. Thank you so much Pamela and Andrea too, for hosting this beautifully written and presented description of the life of an inspirational 17th century personality. Frances Coke, Viscountess Purbeck,is one of those characters that seems to transcend time and the period in which they are born and live. She first entered my life in June of 2002 and has never been far from my awareness since. Frances was undoubtedly the muse of my own recently published novel and, since sharing her story with the world in ‘Nights of the Road’ (nightsoftheroad.com), I have continued to hear her cajole and command me to tell the tale of her son. ‘Robert Wright’, who was baptised by the vicar of St Giles Church seen above, would know four different surnames in his lifetime. He struggled, like his mother, to find happiness and was constantly eluded in his search for a place where he might settle safely and feel at home. Nicola Cornick, a volunteer at Ashdown House, which houses the lovely portrait that Pamela has shared with us here, reports that Frances is a great favourite with visitors to the National Trust property. 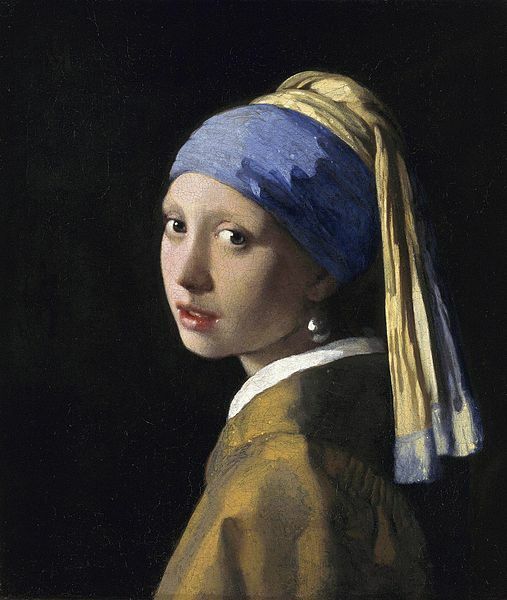 Nicola is writing an historical novel about Elizabeth of Bohemia, The Winter Queen, whom Frances and her mother Elizabeth Hatton knew well and even visited in the Hague. If Lady Hatton was seeking to distract her daughter from the romance with Robert Howard that she felt ill-judged, by taking her to the Hague, she did not succeed! Thank you to Midi for pointing me in the direction of this wonderful blog piece. I too find Frances’s story fascinating and it is very interesting how many visitors to Ashdown House admire that particular painting and ask about Frances’s history. I look forward to reading Darling of Kings. Thank you!